MSI has this week unveiled two new additions to its range of graphics cards in the form of the Radeon RX 470 GAMING X 8G and Radeon RX 470 ARMOR bothe of which are fitted with the Twin Frozr VI thermal design to keep the 14 nm FinFET GPU cooler even under high loads. 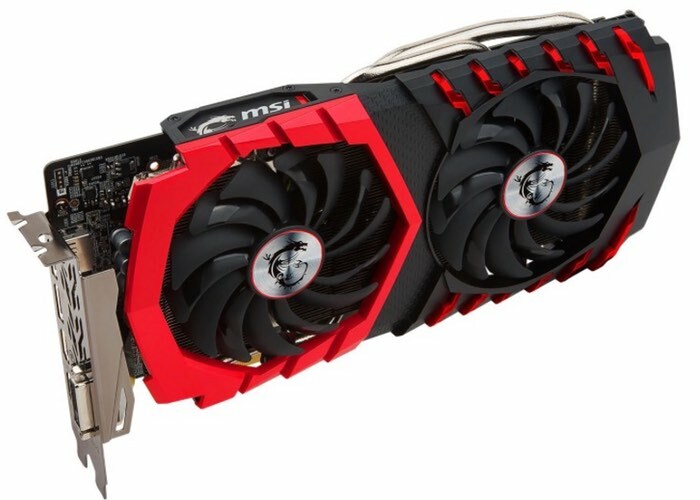 The latest MSI graphics cards also include a completely new custom 6-phase PCB design using Military Class 4 components with an 8-pin power connector that enables higher overclocking performance to push your graphics card to the max if desired. MSI is proud to present brand new graphics cards based on AMD’s RX 470 Polaris architecture. Both the Radeon RX 470 GAMING X 8G and Radeon RX 470 GAMING X 4G cards brandish the imposing TWIN FROZR VI thermal design to keep the 14 nm FinFET GPU cooler than ever before. The new levels of cool allow for higher core and memory speeds for increased performance in games at HD resolutions and in VR. The recognizable shapes of the eye-catching TWIN FROZR cooler are intensified by a fiery red GAMING glow piercing through the cover, while the MSI GAMING dragon RGB LED on the side can be set to any of 16.8 million colors to go with your mood or build. A completely new custom 6-phase PCB design using Military Class 4 components with an 8-pin power connector enables higher overclocking performance to push your graphics card to the max. Both the Radeon™ RX 470 and its bigger Polaris brother the RX 480 will be available in a fashionable Black & White design inspired by advanced armor shielding. 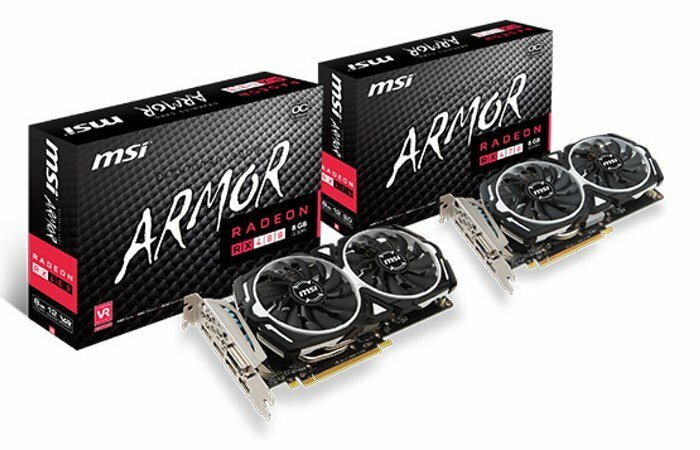 The MSI Radeon™ RX 480 and RX 470 ARMOR series are perfect for gamers and case modders looking for something unique and different. The new ARMOR 2X Thermal Design uses the patented TORX Fan technology also found on the award winning TWIN FROZR V graphics cards and Advanced Airflow Control for enhanced cooling performance. MSI’s Zero Frozr technology stops the fans in low-load situations such as web browsing or light gaming to remain fully silent. For more information on the new Radeon RX 470 GAMING X 8G and Radeon RX 470 ARMOR jump over to the MSI website for details by following the link below.